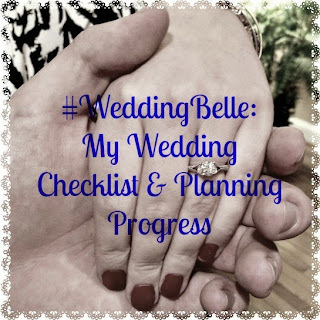 #WeddingBelle: My 3-5 Month Checklist! After the first couple months of booking the vendors and making basic wedding decisions, I was able to slow down a bit. The last 2 months have still been busy but definitely more leisurely. So I've grouped my most recent checklist into Months 3-5. Take a look all my progress so far! Bridesmaids have begun to plan my bridal shower! It's been a crazy few months around here and we're really starting to get to the details! Only 4+ months to go! Stay tuned!